It doesn’t mean you have to go without dental care. We started the Klein Dentistry Membership Club to help uninsured patients get and keep their smiles healthy for a lifetime. 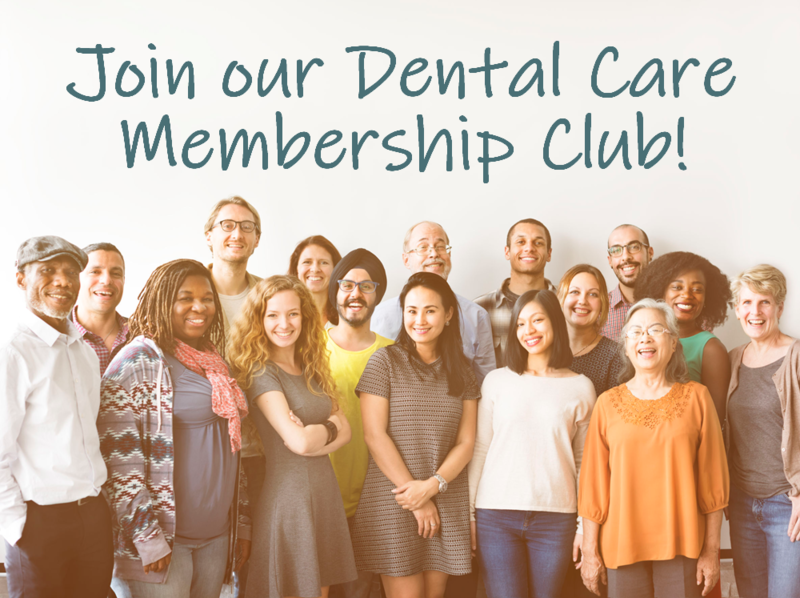 Our membership club allows patients to make low monthly payments for their preventive care, and take advantage of benefits only available to members, like no-cost x-rays, no-cost fluoride treatments, a no-cost emergency exam per year, and a loyalty discount on most other services. Not seeing a dentist on a regular basis means you’re missing the opportunity to prevent any issues and receive early intervention. As a result, there are more than 2 million visits to emergency rooms for dental treatment annually. This could not be farther from the truth and puts your dental health in jeopardy. Our membership club allows patients to be in total control of their dental care. It keeps the focus of the care on the patient, and between the patient and their dentist, where it should always be. Our membership club also includes cosmetic services like whitening and veneers which are usually not covered by a dental plan. Adult Membership – For patients who need regular care and don’t have periodontal disease, they pay $35 a month and receive two professional dental cleanings, two doctor exams, two fluoride treatments, any needed X-rays, one emergency exam, and 12% loyalty discount toward most other treatments. Perio Membership – For patients who have, or need treatment for periodontal (gum) disease, they pay $75 a month and receive four periodontal maintenance treatments, two doctor exams, any needed X-rays, two fluoride treatments, one emergency exam, and a 12% loyalty discount toward most other treatments. Child Membership – For children who need regular care and don’t have periodontal disease, they pay $30 a month and receive two professional dental cleanings, two doctor exams, two fluoride treatments, any needed X-rays, one emergency exam, and a 12% loyalty discount toward most other treatments. All it takes is a debit or credit card to sign up online, and you’ll start receiving services immediately. There is a $149 lifetime activation fee that is due when you sign up and includes your first month of membership. Your preventative care is covered, and you’ll get a 12% discount on other services, such as fillings, root canals, cosmetic treatments and more. Contact us to schedule your first appointment, tell us you’re a member, and you’ll be all set. We’re excited to offer you this new service and are happy to answer any questions you may have. Just give us a call at 616-538-4960.